Winter - It’s cold at night and in the early mornings (temperatures can drop close to 0°) so take warm extra layers for game drives, but sunshine is almost guaranteed. 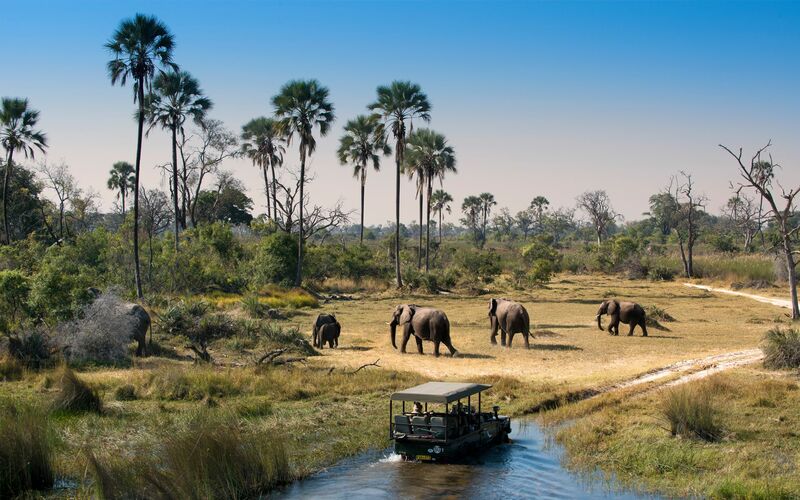 It’s the start of high season, so you will be meeting other vehicles on the roads and sharing sightings, especially on the Chobe River. But what sightings! Day by day there will be more elephant, plus buffalo, crocs and much more. Savute will be dry now, but permanent boreholes attract thirsty animals and competition for the precious water makes for great sightings. Self-driving adventurers can tackle the park’s dirt roads, not always possible in wet season: this is a good time to drive to Nogatsaa, although game will be moving north. It’s also prime time for tiger fishing at the Riverside.